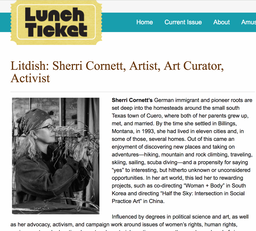 An independent curatorial partnership between Sherri Cornett and Karen Gutfreund that specializes in creating exhibitions ​on themes of “art as activism” to stimulate dialog, raise consciousness, build communities and encourage social change. Exhibitions have included: "Beyond Borders: Stories of im/Migration", "Social Justice: It Happens to One, It Happens to All", "What's Right, What's Left: Democracy in America"
This evolving community memory project examines how sharing of memories connect us to our own past and to each other. The installation includes symbolic Somas or neural bodies, each focused on a memory theme (family, homes, food, jokes, words ...). 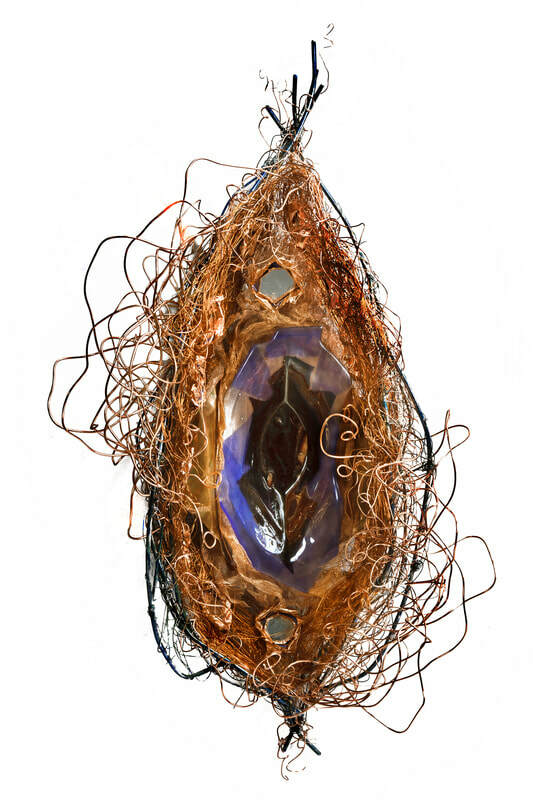 Copper "dendrites" hold the Memory Cards, on which drawings, photographs and writings depict brief memories - humorous ones, meaningful ones, wispy threads of memory or clearly remembered ones. The installation forms a back drop to readings, performances, & workshops looking at memory from creative, therapeutic and scientific perspectives. In these works I explore physical representations of energy released from constraint. These mixed-media wall/video sculptures are shrines to aesthetic backdrops for conversations about water rights, conservation and access and the many ways water is essential to our lives and livelihoods, as reminders of water as common ground, common necessity. 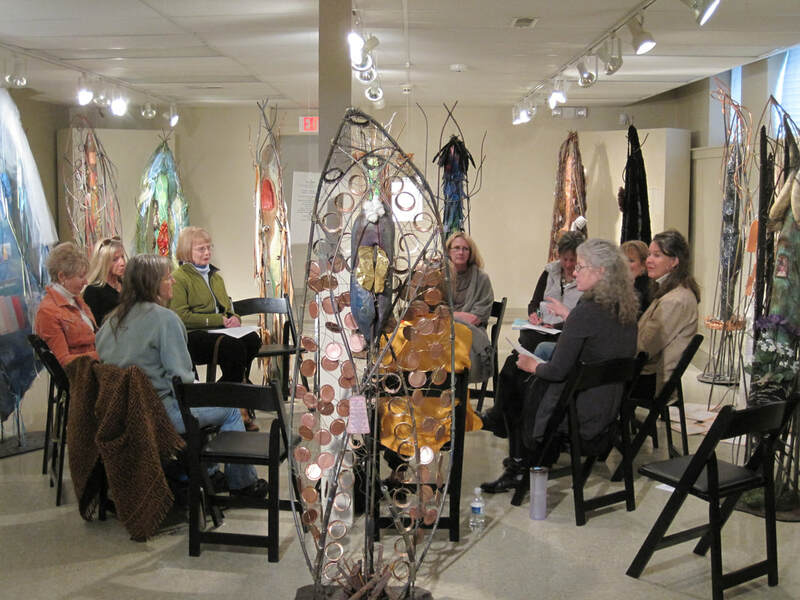 ​Sculptures symbolic of women who mentored me accompanied enclose a circle of women of various ages and backgrounds , each sharing her perspectives, making connections, increasing our collective wisdom and enjoying the art of conversation in a positive, supportive environment. Symbolic, protective places into which to retreat, ask questions, seek answers and stay current with our personal truths. Reflections of the give and take of the water, the interconnected webs of reef life and the enclosed completeness of my diving experiences. As a curator and artist with a background in political science, advocacy and activism, I agree with those who believe that we must continue to investigate and discuss the grand narratives used to explain the world and that each of us should reformulate our questions and seek new answers as we learn and grow. My work is often a physical manifestation of these questions and answers. I develop exhibitions, projects, art and correlating events that engage the psyche of viewers and participants to the point where they, too, become moved to question, to consider, to act. 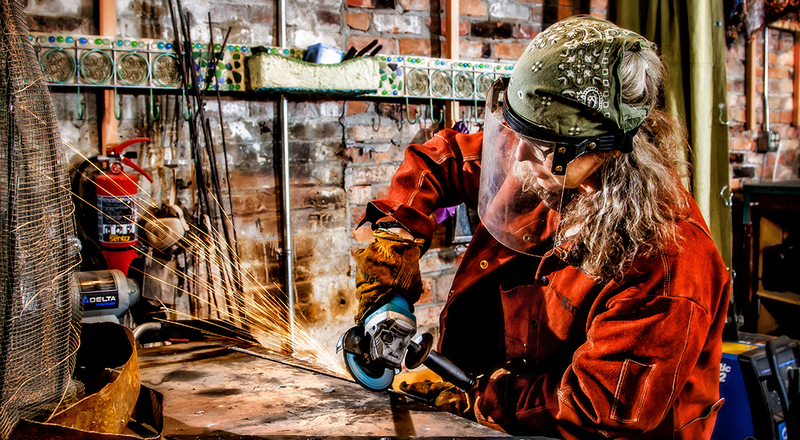 "With examples of national and international artists and art projects that encourage dialogue and seed social change related to violence against women, artist curator Sherri Cornett will facilitate a conversation exploring ways art could further understanding and action in our region". Honored to be presenting with Dr. Sue Balter-Reitz, Stephanie Baucus, Reno Charette, Kelly Christy, Brittany Hommer, Juli Pierce, Kassie Runsabove, Chrysti M. Smith, Rian St. Pierre, and Erika Willis. "Inflamed" and "Erupted" from my Freedom Series, in which I explore physical representations of energy released from constraint, at Kirk's Grocery, Billings, Montana, April - May 2019. 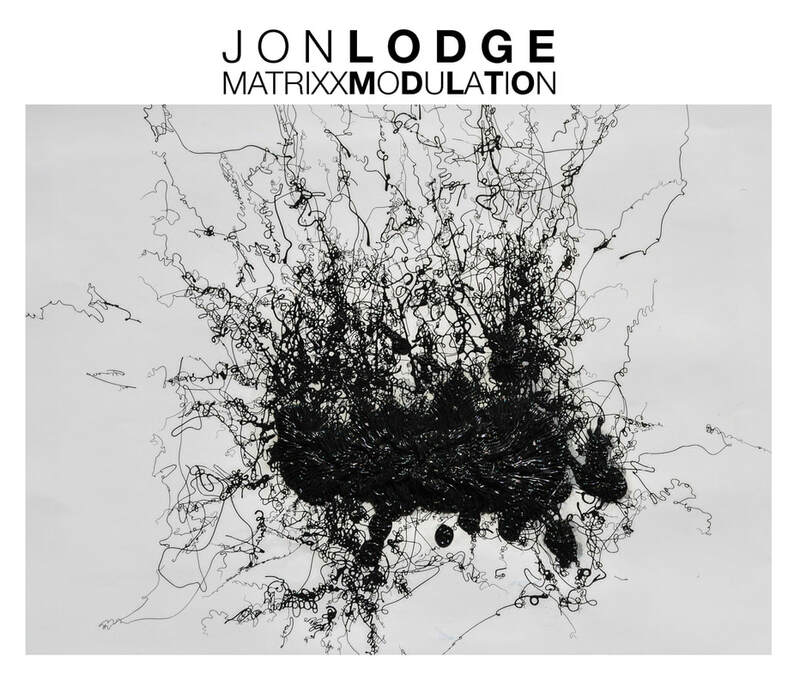 ​Lodge’s exhibition emphasizes the interplay of process and material - utilizing as a starting point, planned systems of randomness (stochastic process) and including interactive, evolving elements to engage visitors as creative partners. 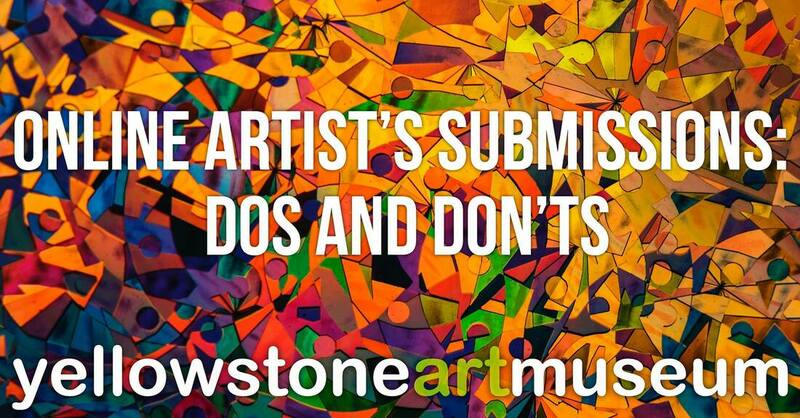 Methodologies of music composition and print media/image reproduction merge to generate artworks that exhibit components of and connections among these disparate sources. 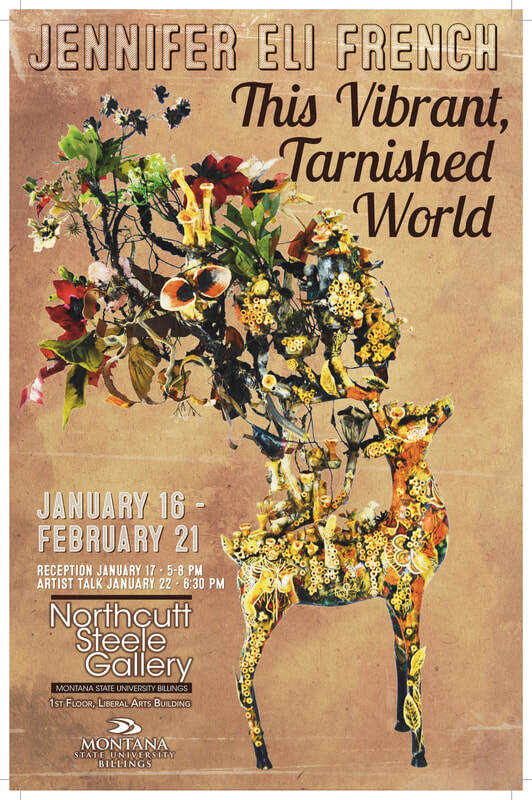 JENNIFER FRENCH "This Vibrant, Tarnished World"
The exhibition is French's intricate, personal interpretation of the futuristic novel, Station Eleven by Emily St. John Mandel and is part of the NEA Big Read in Billings. The dual show features internationally recognized artists Michael Takeo Magruder and Bently Spang. Each artist reflects on discourses of intolerance and belonging in the light of their family histories and current events, especially the crisis facing immigrants at the southern border of the United States. 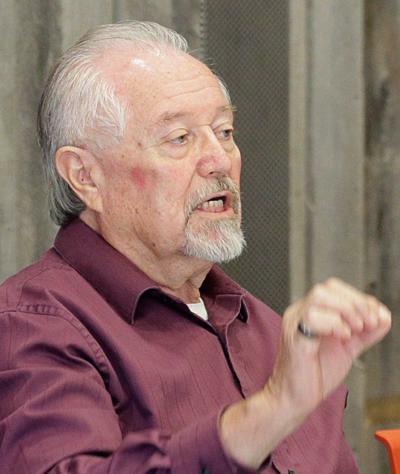 "Participants in the Native American Healing Symposium are taking a different tack in September, joining in the 50-state “For Freedoms” initiative that seeks to update President Franklin Roosevelt’s Four Freedoms: freedom of expression, freedom to worship as one chooses, freedom from want and freedom from fear. 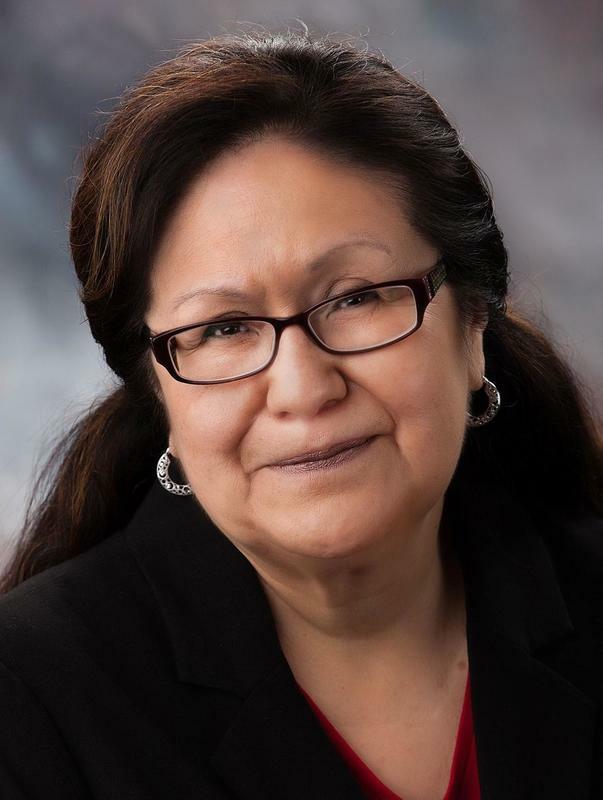 Seated at round tables Thursday at the Billings Public Library, participants first heard talks by John Robinson, chief judge of the Northern Cheyenne tribe, and Carolyn Pease-Lopez, a former state legislator." 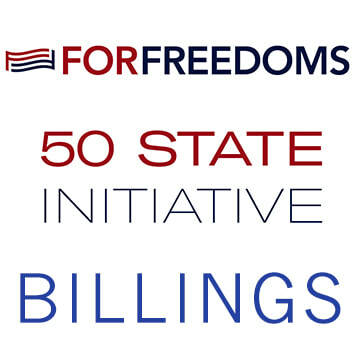 FOR FREEDOMS 50 State Initiative Billings is a collaborative offering of community conversations, art and correlating events which will provide non-partisan forums for action and discussion of values, place, and patriotism as part of the national For Freedoms 50 States Initiative in advance of the November 2nd mid-term elections. What Freedom Means banners created by the MSUB Club Art Collective and other campus organizations and club. Related community events to further the dialogue. Project Director Sherri Cornett with Russell Rowland, Adrian Jawort, Rev. Dwight Welch, Angel Shandy, Dr. Leanne Gilbertson, Dr. Jen Lynn, and other community leaders.